Poster for International Literacy Day 2017. 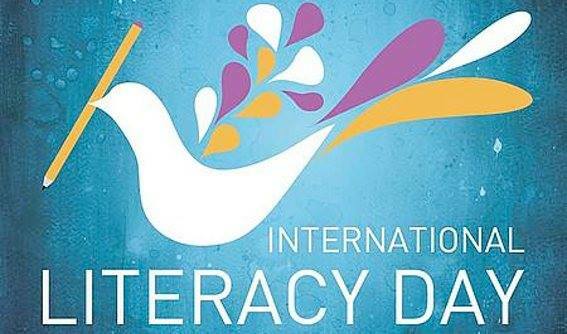 Newport/Mesa ProLiteracy will celebrate International Literacy Day with a special program on Sept. 14 from 10 a.m. to noon in the Friends Meeting Room at the central library, 1000 Avocado Avenue. The event celebrates literacy achievements in the community and recognizes the contributions of the many volunteers and tutors who work in our local Literacy Program, as well as the learners who work so hard to acquire new skills. In addition, several learners will be honored as new U. S. citizens with certificates being presented by representatives from the office of Orange County Supervisor, Michelle Steel, and other public officials. The public is invited to attend the International Literacy Day program and learn more about Newport/Mesa ProLiteracy at the Newport Beach Public Library and the personal stories of these adult learners.